Since I have no lesson plan to prepare this week, I thought I'd pass along some information about the type of equipment & supplies I always keep on hand in order to prepare my weekly lessons. You can assume the obvious - computer, printer, paper, Internet, etc. But I get the occasional question about what other types of items I use that have really helped make my calling a lot simpler! This does occasionally goes on sale on Amazon! 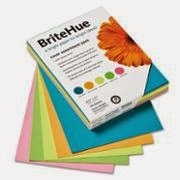 I use lots of card stock that I buy from Wal-Mart. I always keep the plain white and multi-colored packs on hand. 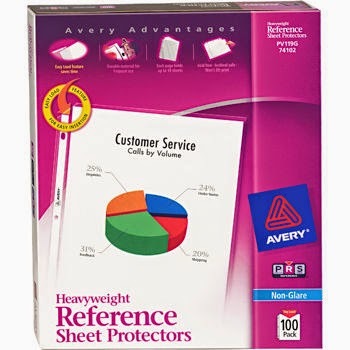 I also use lots of sheet protectors. I bought a big package from Costco (found HERE) and it has lasted me FOREVER! I reuse them all the time. 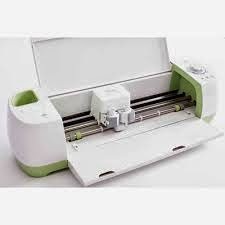 I also have my eye on the new Cricut Explore or Silhouette (not sure which one I want! )...ONE day!! For now, the scissors work fine ;). As far as reimbursement goes, I don't ever turn in receipts for things I buy that I will be keeping. If I purchase treats for the kiddos (which I really only do occasionally) or something I will be giving them (CD's, for instance), then I get reimbursed for it. I want to keep the things I make (I can't tell you how many times I have used my singing time visuals for Family Home Evening!) and if I got reimbursed for it all, I'd feel like it should stay with the primary. I also feel that each chorister has their own style so stuff I make may be of no use to the next person in the calling. So I ask you, what items have you found really useful for this calling? Leave a comment with any suggestions!! Do you know the one you want is less than $30 and free shipping right now today? I just checked your link. Thanks so much for always sharing your info. You really help me stay on top of my calling and stay organized. Just wondering if you have looked into the Silhouette Cameo instead of the Cricut Explore. I would highly recommend it instead of the Cricut. Thanks for the tip! I really haven't looked into either so I appreciate this! Camille, I have the laminator by scotch and I LOVE it!. I buy my laminating sheets at Sam's Club. They are really cheap, but good quality. Thanks for always having such awesome ideas!! I have now owned two laminators including the scotch brand. My favorite one is actually a little cheaper (Around $22.00) It's called AmazonBasics Thermal Laminator. I like it better because the laminating pages enter flat instead of at an angle. This keeps little pieces form slidding around and getting ruined while in the machine. I have the same laminator as you and hate that nothing will stick to it. It's because it's not heat-based. I've found that sticking a tiny piece of duct-tape on the back of the laminated piece and then adding my adhesive, hot glue or Velcro dots orange tic tape works like a charm. Hope that helps! Thanks for all your wonderful ideas. I just called to this calling and am feeling kind of lost with the program coming up. Your blog is a perfect find! Thank you so much for the list. I just wanna know if what's the best laminator for you? 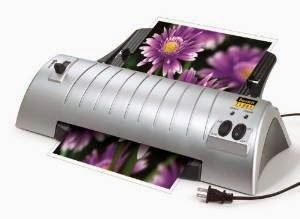 Honestly, I wish I had the 2nd one I have posted - the Scotch Thermal Laminator :). 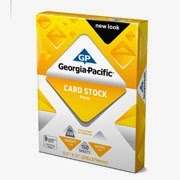 Walmart carries the Scotch laminator for less than $20 and a box of 50 inserts is $10. I love mine!